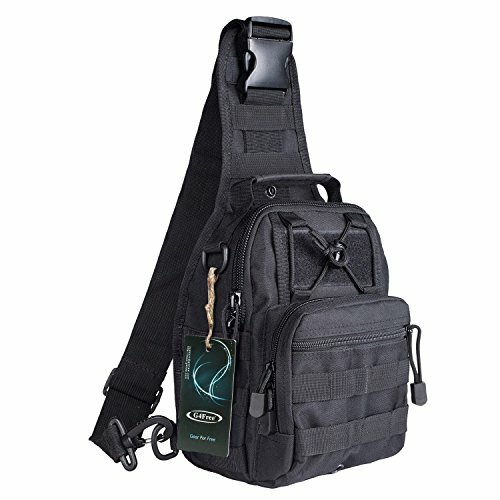 The perfect EDC (Every Day Carry) backpack isn’t that difficult to find if you know what you are looking. Using our handy guide that will talk you through what boxes your backpack needs to tick, as well as our list of the top backpacks on the market, you will find your new pack in no time at all. How Big Does Your Bag Need To Be? The Rush72 Backpack from 5.11 is our favorite large backpack. The design and craftsmanship is world class, and the bag is incredibly functional and versatile. Brilliant for anyone looking for something that they can use for extended periods of time. TheHuntvp Mini Daypack is our favorite small EDC backpack. It is very well-made, it can withstand harsh conditions and weather, and it is ultra compact, but does not sacrifice on useful space. The MOLLE system also adds extra external space if and when needed. The EDC Sling Backpack from G4Free is our favorite sling backpack. It is spacious yet compact and lightweight and is the best in between bag if a pouch is too small or a backpack is just too big. You can’t go wrong with this pack. This backpack from Rush72 is one of the best ones on our list. There is ample storage for both big and small pieces of gear, with multiple compartments and pockets. It is also fitted with hydration capabilities as well as extra external storage space. The bag has a front admin pocket for your everyday essentials, the main compartment is separated with mesh and elastic cuffs to ensure maximum organization. It has a Shove It, elasticated storage area between the main and secondary pockets to store a helmet or jacket. 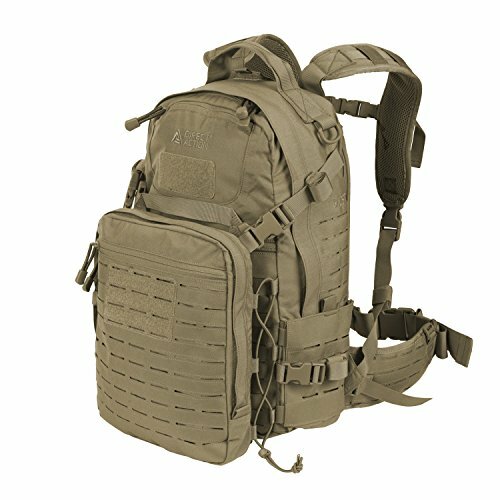 The Rush12 is the smallest pack in the 5.11 series, but still has plenty of room for everything you may need for a day out, or use it as a bug-out bag. It is made of water-resistant 1050D nylon with self-repairing YKK zippers. The bag is fitted with 16 compartments, including a roomy main compartment and hydration compartment. It also has wrap-around MOLLE SlickStick webbing for extra external storage, as well as an internal admin compartment and a fleece-lined glasses compartment. This bag from Seibertron is the perfect EDC backpack, hiking pack, or camping pack. It is made of very high-quality 900D waterproof fabric with stitching that can easily last a lifetime of use. The pack has 37L of capacity, making it bigger than the recommended size for the perfect sized EDC backpack. It has ample compartments to fit all your gear, big or small, and the MOLLE webbing found all across the pack adds brilliant external storage options. This dragon egg-shaped EDC backpack from Direct Action is made of 100% Cordura 500D, an incredibly resilient and durable material, perfect for EDC and tactical backpacks. It is a very lightweight yet practical and versatile backpack suited for many different needs. The backpack is fitted with a patented Combat Vent System which provides increased comfort when used for prolonged periods of time. The bag has a laser-cut MOLLE/PALS system which is low-profile, lightweight and snag free. 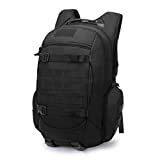 The Ghost Tactical EDC Backpack by Direct Action is made of very durable and water-resistant coated 100% 500D Cordura. 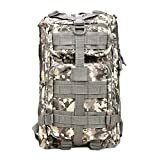 This pack is a very lightweight and versatile 3-day pack that is brilliant as an EDC backpack or a tactical bug-out bag. The Ghost MkII has redesigned side pockets that are fitted with elastic cuffs that allow for expansion. Like the Dragon Egg above, the Ghost is also fitted with the Combat Vent System, which keeps you cool and comfortable all day, no matter the weather or activity. This backpack from Reebow is slightly different as it a sling backpack. 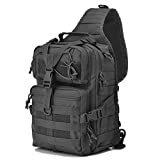 The back has enough capacity to hold a laptop, books, small pieces of gear, flashlight etc, while the single shoulder strap ensures the pack is easy and comfortable to wear, even when fully loaded. The backpack has a secret, velcro sealed compartment on the back, perfect for storing valuables. The backpack is also hydration compatible. It has a breathable back panel, a front compression strap, and MOLLE webbing for extra, external storage. 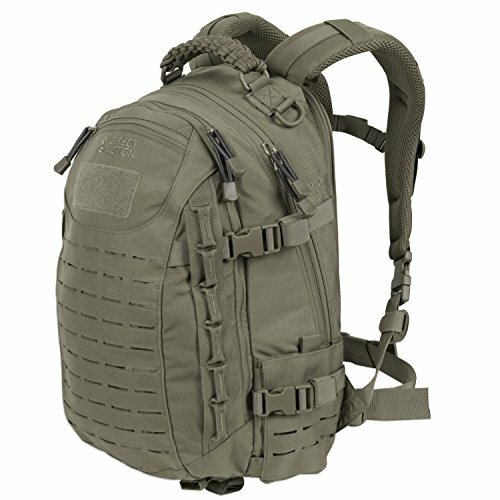 This is another sling backpack, but this time from G4Free. It is a lightweight and compact backpack, but still very versatile with ample room for everything you may need on a day-to-day basis. It is fitted with multiple internal compartments, three external compartments, one front zippered pocket, one main zippered pocket, and one padded back pocket. 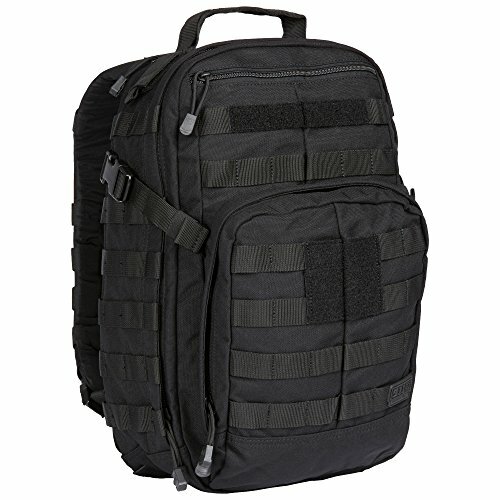 You will not be left wanting more room or more organizational power with this backpack. 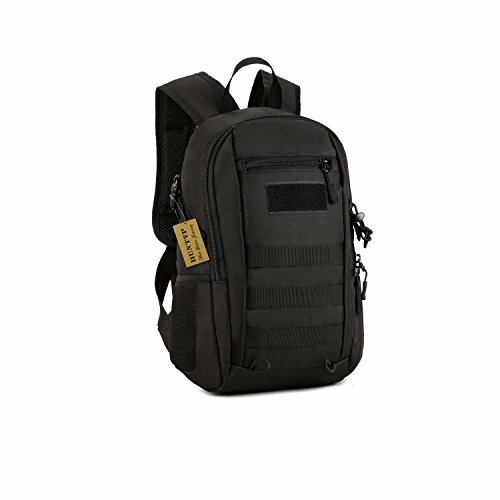 This tactical backpack from Mardingtop is made of water-resistant 600D polyester and fitted with the famous YKK zippers. It has a 35L capacity, making it an ideal EDC, bug-out, hiking and camping backpack. The backpack is completely hydration compatible, with you being able to hold a 2.5L hydration pack. 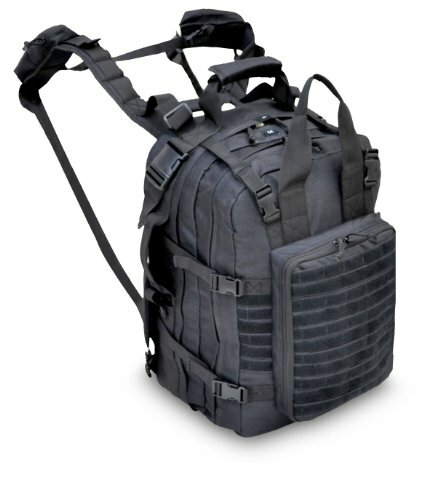 The MOLLE webbing found all around the backpack allows for a large amount of external storage. This is a brilliant, small, tactical sling backpack from Reebow. It has MOLLE webbing all around it, and can easily double as a daypack for your everyday activities, an EDC, a camping pack or a pack for hiking. 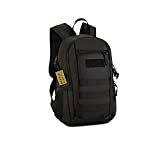 The backpack is fitted with a concealed compartment with a velcro seal for storing valuables, such as your wallet, keys, or a personal firearm. There is also space for ample ammunition. The sling strap is incredibly comfortable and stays comfortable even when the bag is fully loaded. 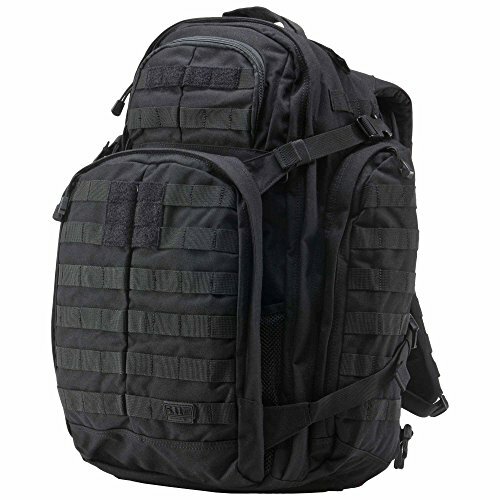 The TOPQSC Military Tactical Rucksack is made of highly durable and strong Oxford waterproof material. This material is very rigged, can handle any situation you put it in and is also anti-scratch wear-resistant. The backpack has a large storage capacity, with a double zipped main compartment, an interior computer pouch, and mesh pockets on the outside. This bag is great for day-to-day use, as well as a survival or camping pack. This backpack from Gowara Gear is another tactical sling backpack. It is made of highly durable 600D polyester which is incredibly strong and water-resistant. The heavy-duty zippers can take rough conditions without jamming or breaking. The bag has enough storage space for all your EDC gear, as well as space for extras. 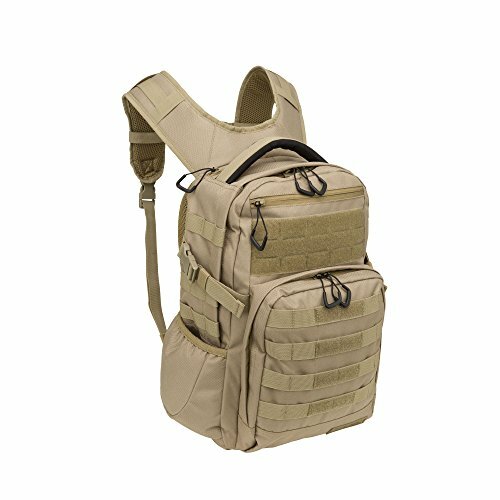 The pack is fitted with a concealed, velcro close compartment on the back that can store 1 or 2 handguns as well as ample ammunition. 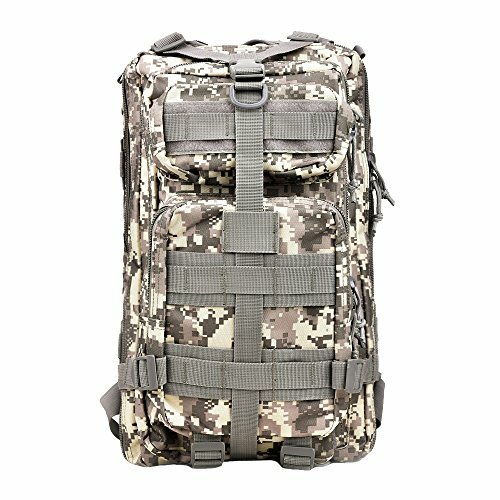 This backpack is slightly different to the rest we have reviewed as it has been designed for survival and medical uses. The pack itself has is made out of 100% and heavy-duty nylon and can fit a 720z hydration bladder. 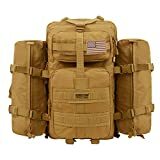 As mentioned above, this pack has many pockets and is incredibly well organized so it can be used as a medical backpack. These storage options make it an ideal EDC pack as you can easily fit and organized all your gear. This highly durable backpack from CVLIFE is made of waterproof, 600D nylon and has a 30L capacity. The backpack comes with a padded back, ensuring maximum comfort even when the pack is full. The bag is fitted with multiple compartments and pockets of different sizes. 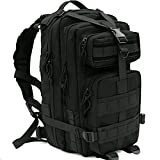 There are two main compartments, both fitted with pockets on the inside, there are two exterior compartments, as well as a great MOLLE system for tons of extra external storage. This is a small EDC backpack from Huntvp, and it is brilliant for day-to-day use, whether you are going to work, school or for a hike. The compact size combined with the MOLLE system ensures you have more than enough space for any gear you may need. The bag is made of 100% nylon, which is both scratch resistant and waterproof. The bag is designed to withstand harsh weather and environments, whether it be cold or hot, rain or shine, it thrives in any conditions. 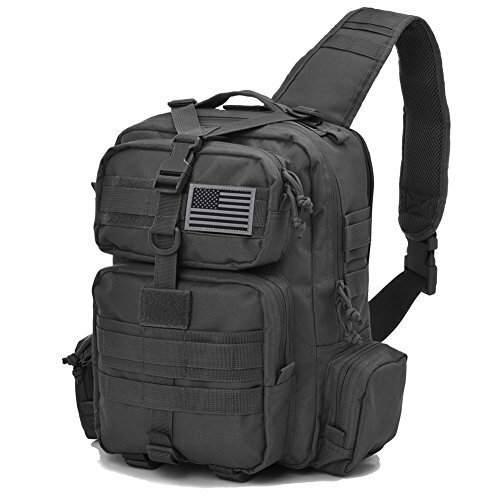 The Alpha OPS EDC Backpack from Fieldline is designed for concealment and tactical uses. It is small and compact, but still offers you a large storage capacity, that can hold and organize your day-to-day gear with ease. The bag has a built-in gear organizer, a digital media pouch, an integrated headset port, a fleece lined sunglasses pouch, a large main compartment and a roomy secondary compartment. The backpack is also hydration compatible. Buying an EDC backpack isn’t quite the same as buying a regular backpack, as an EDC pack has to be more versatile, have more storage compartments, be easily accessible, as well as checking a few survival or emergency situation boxes. Before you can think about which bag you are going to be purchasing, you need to decide what gear you are going to be putting in it. Whether you want a bag that is useful for day-to-day activity, or something for a survival situation. Items that you need would be the ones you use on a day to day basis. These items can include your wallet, keys, smartphone and maybe a basic pocket knife. Keep these items to a minimum, as these constitute the core of your EDC. You need to evaluate and figure out which are the common threats or problems you may encounter on a daily or near to daily basis. Do you have to travel through a high crime area or does your job require you to have specific tools for ever-changing jobs? For instance, if you work at a factory of some kind, do you spend time unpacking boxes or packing them, a pocket knife would clearly be useful. If you travel to, through or near a high crime area, a bottle of pepper spray is a no-brainer. The next items you should pack are ones that have multiple uses. This will not only save on space but if you get separated from your pack, you could still possibly have a tool or two on you that can serve multiple purposes. Items like duct tape, a multi-tool, paracord etc. are brilliant to carry as they serve multiple purposes and can be used in many, many vastly different situations. Great tools to have if the potential risks or environment or unclear. A low probability but the high-impact situation would be having a car accident and your car veers into a river or dam. These scenarios may seem quite unlikely, but not being prepared for them can have serious consequences. In this scenario, emergency tools such as window breakers or a seatbelt cutter would be incredibly useful and are therefore items you need to consider. Remember, keep the gear to a minimum, you don’t need an inflatable raft if you are just walking to work or climbing a mountain. Finding the correct sized bag is the easiest part of figuring out what items you will be packing into it. Measure your biggest piece of gear, and ensure the bag is big enough to fit that, this will be the minimum size bag you need. You must also ensure that the pack won’t be completely full once all your gear is in, as you will need space for activity or weather specific gear such as a rain jacket or possibly hiking poles. 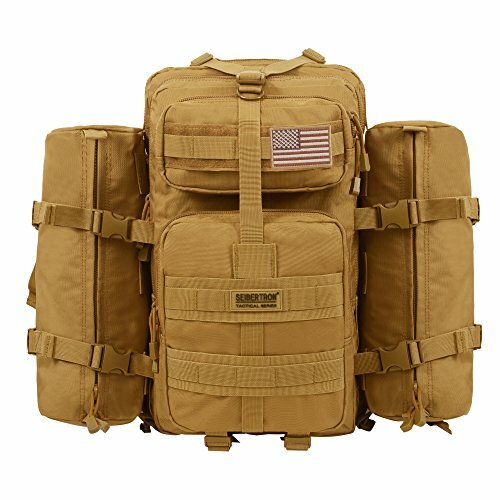 There are many different types and sizes of bags available but look for ones that have a MOLLE system. This allows you to attach gear as you please. A modular bag is even better, as each module can serve a purpose and you can attach and detach a module as you see fit. 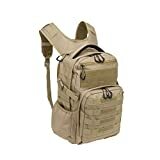 There are different styles and types of backpacks and bags that make ideal EDC packs. 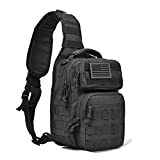 They range from smaller, day-to-day bags, to a bigger all-in-one, “bug out” style bags. We will cover the 4 most common styles. An organizer pouch is the best for your EDC gear if you are just wanting something small and compact that can hold your smaller items. These pouches can be stored in your cars glove compartment, or just into a bigger pack when traveling. A lumbar pack is the in between bag if a pouch is just too small and a sling bag or backpack is just too big. They allow you to carry bigger items, or you can carry many smaller items for day-to-day use. A sling bag is for someone who is carrying heavier items on a day-to-day basis. Obviously, they store more than a lumbar pack, but the over the shoulder design allows you to carry heavier pieces of gear all through the day with ease. The backpack is what we are here to talk about. They are the best for anyone who travels with a lot of gear or someone who wants an emergency or survival pack ready whenever they need it. 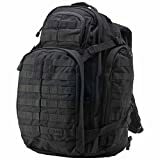 Finding the right EDC backpack can be slightly challenging, as choosing the wrong one can be a matter of life and death. We hope that our list of the best backpacks, and our buying guide, have given you some clarity and direction in finding your next, and best pack.